Like the saying goes " Do-nut worry, be happy ". 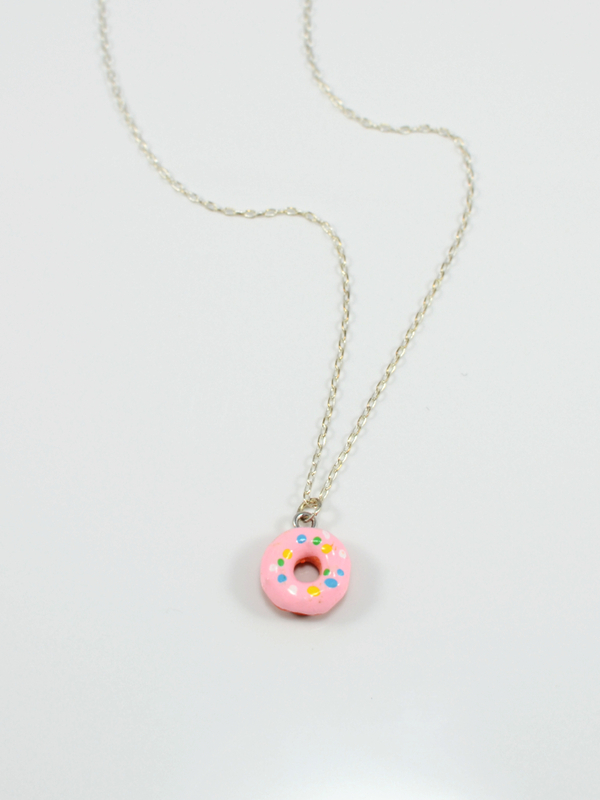 This whimsical 19 inch silver necklace features a bright pink sprinkled donut charm sure to bring a smile to anyone's day! Like the saying goes " Do-nut worry, be happy ". 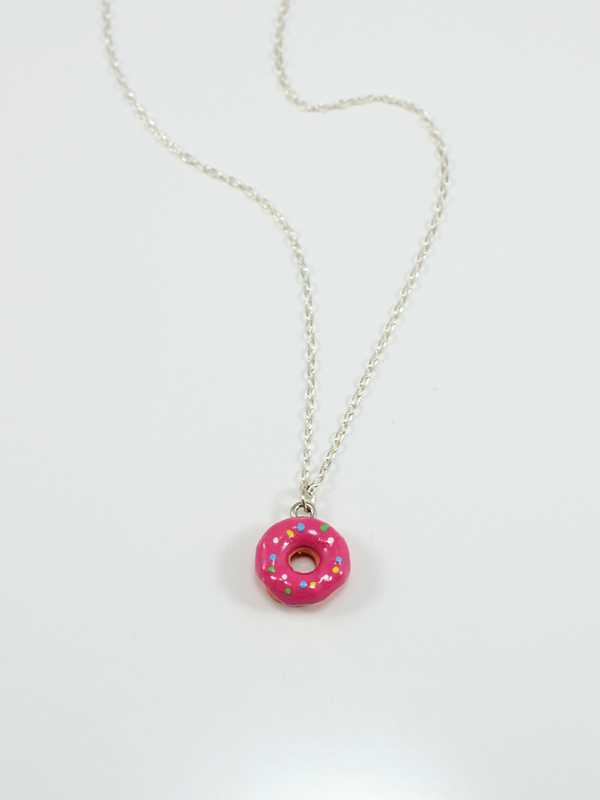 This whimsical 19 inch silver necklace features a bright magenta sprinkled donut charm sure to bring a smile to anyone's day! 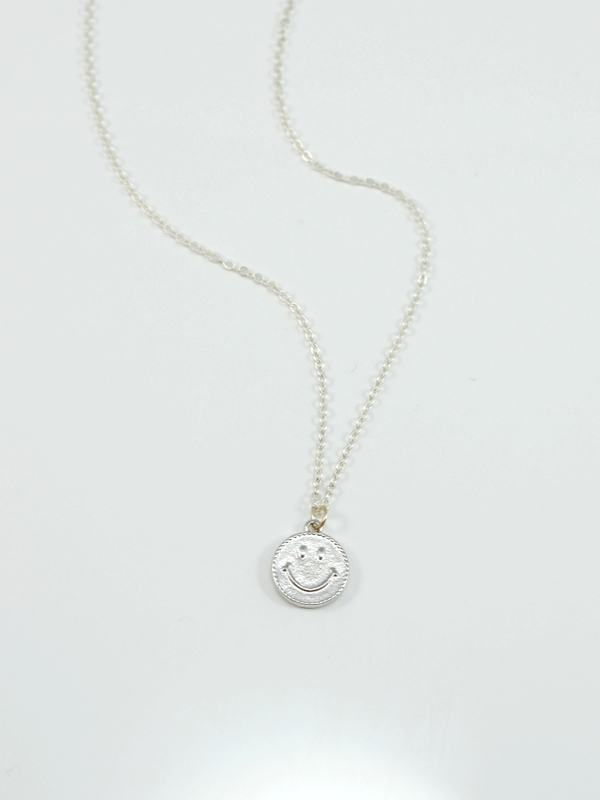 This 19 inch rhodium necklace features a whimsical happy face charm in matte rhodium. Don't worry, be happy and stylish. 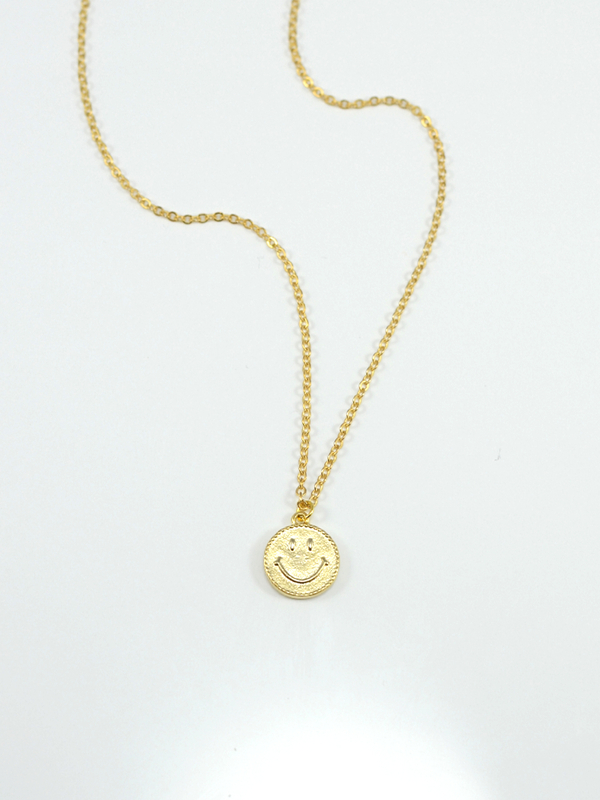 This 19 inch gold necklace features a whimsical happy face charm in matte gold. Don't worry, be happy and stylish. 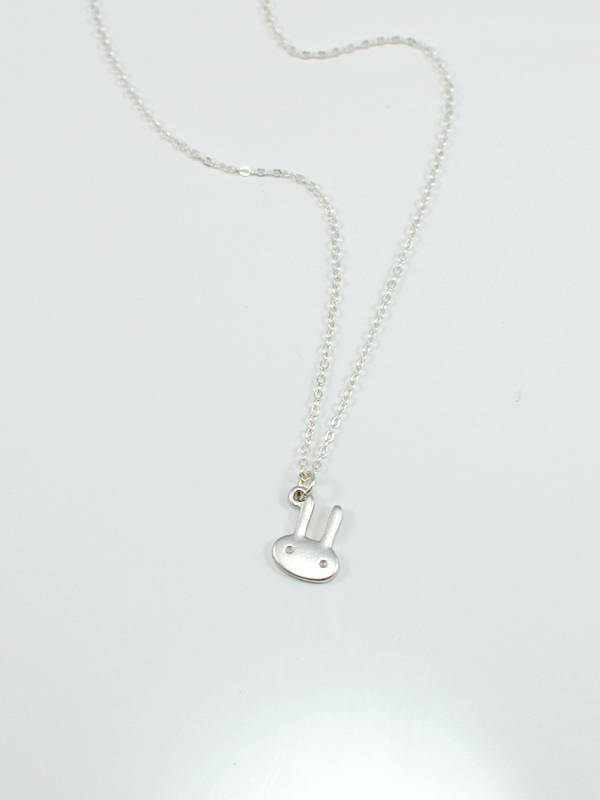 This 19 inch matte silver necklace features a simply adorable bunny charm. A perfect gift at easter or anytime you want to remind someone that "somebunny" thinks they're special. 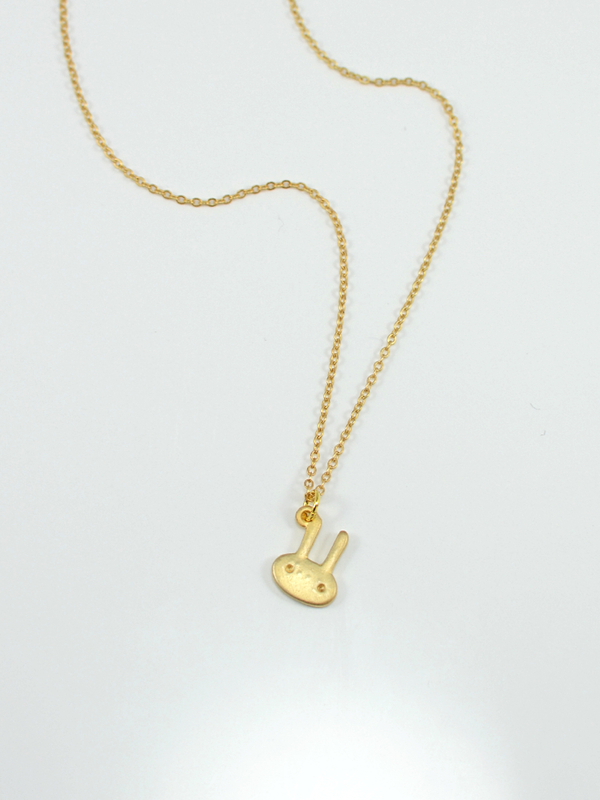 This 19 inch matte gold necklace features a simply adorable bunny charm. A perfect gift at easter or anytime you want to remind someone that "somebunny" thinks they're special.